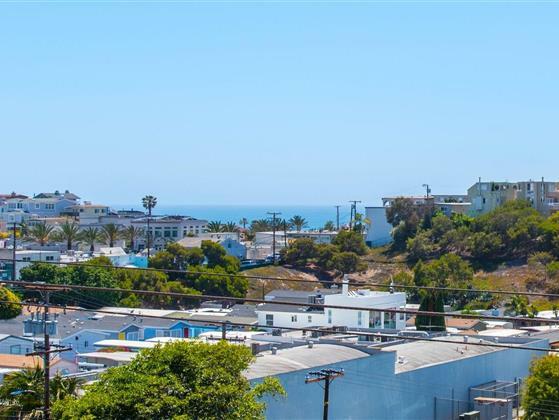 If you want to live in a west facing corner unit with incredible views of Hermosa Valley, the lush greenbelt, Palos Verdes Peninsula and of course the water, this condo is for you! Recent updates include new heater, water supply lines, double pane windows and slider, custom closet, custom white out shade in master bedroom, Samsung stainless steel stove and LG stainless steel refrigerator. For added convenience this condo has two parking spaces, a large kitchen pantry and two master bedroom closets. The secure complex has wonderful amenities including a large indoor pool and spa, gym, bike storage room, outdoor courtyard and welcoming lobby with free WIFI. The best part of this building is it's great location West of PC, a few blocks from the Beach and wonderful Hermosa shops and restaurants.